Outlander_STARZ: "Bebê feliz, @caitrionambalfe feliz. 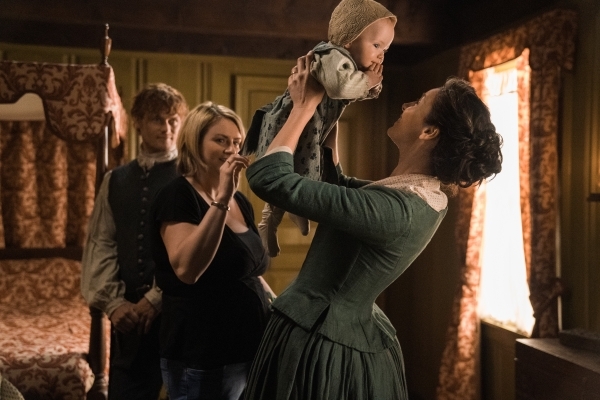 ❤️ #Outlander"
Original: "Happy baby, happy @caitrionambalfe. ❤️ #Outlander"